See that on the right? Say hello to my little friend. 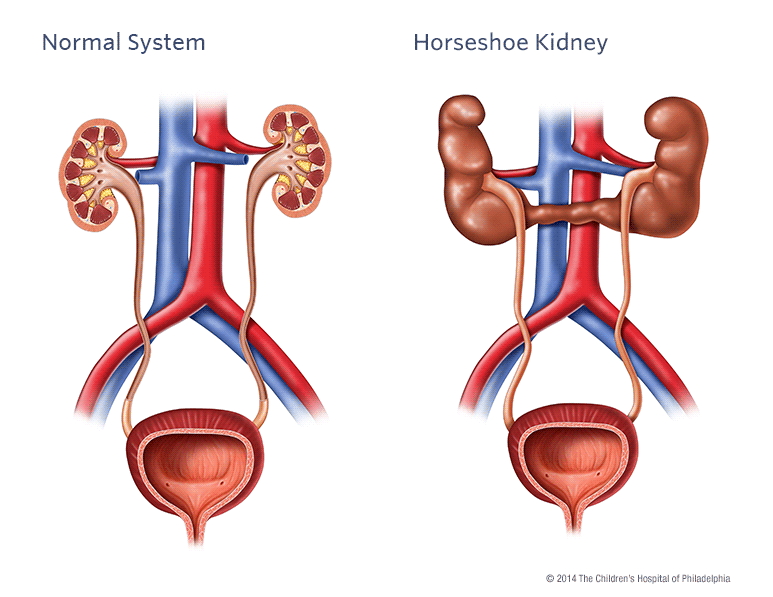 According to statistics, around 1 in 500 have one of these – it’s called a Horseshoe Kidney. So by rights, at least one of my Facebook friends should have one. Hey there, fellow horseshoe, are you out there? I’m often told I seem to have a lot of luck. Well, that depends on whether you believe in luck or not. But if there is such a thing, maybe it comes from this little mutation. Because that’s what it is – a mutation that happens in the womb. Apparently I’ve had it all my life, but I only found out about it a while ago after many years of kidney bugs. So I’m a mutant. Can I be in X-Men now please? Or Avengers? But the downside is that it can be a pain in the – well – kidney. I certainly need to learn to manage it better, as it can be a pesky little beast if I don’t sleep enough, drink enough water or experience stress. So basically, it’s a pesky little beast a lot of the time. In fact, as I write this, I’m lamenting the time I’ve lost lately through sleeping it off. But I still kind of love it, my horseshoe kidney. It makes me a little more unique and, who knows, just maybe it’s my hidden superpower. Posted 4 years ago by skekbev.